So, he comes to check that they’re ok and brings them his toys to cheer them up. Clark cares so much about his humans’ wellbeing that he’s willing to get close to his worst nightmare in a bid to help them through it. No human can make you feel cared for, loved and needed quite like a dog. For dogs live to please. They rely on you for their bed and board and in return, they devote their lives to showering you with attention. And if you ever doubted how good dogs are, you need to meet Clark the Goldendoodle. 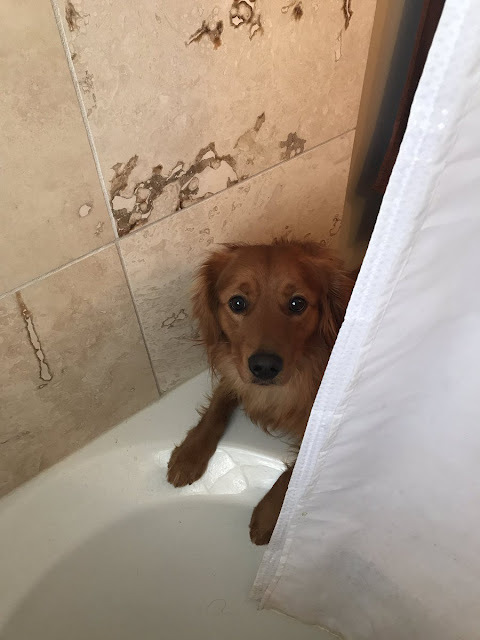 One of Clark’s humans was enjoying a nice, hot shower when they looked down to find his little face peeping through the shower curtain. 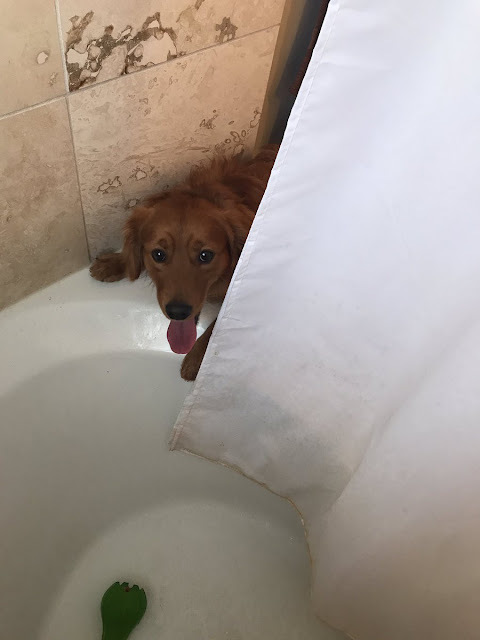 Some people would be a little freaked out at being watched in the buff by a tongue-wagging canine. 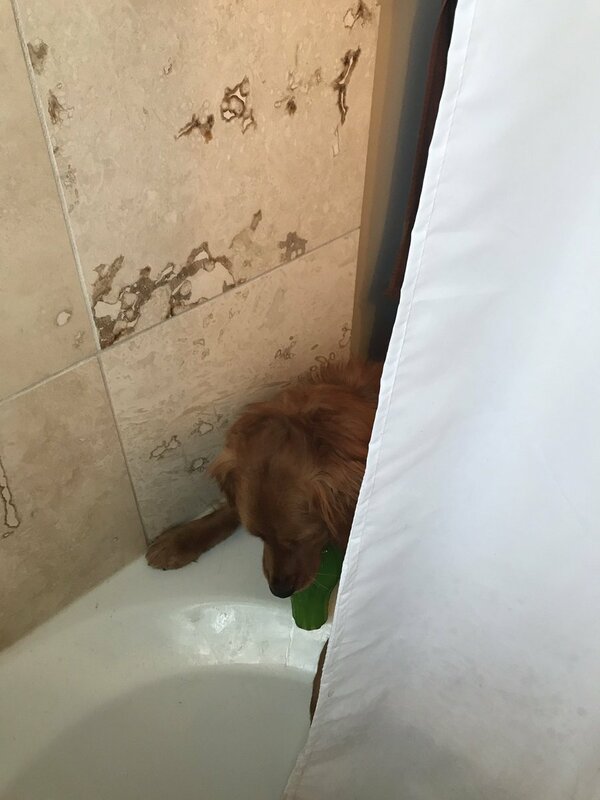 Responses to "Bath-Hating Dog Brings His Owners Toys When They Shower To Comfort Them"